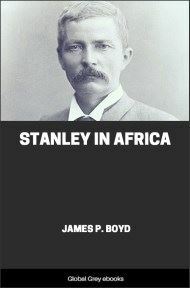 Chapters include: A Retrospect; The Grim Struggle between Right and Wrong, and the Latter Carries the Day; The Natives' Land Act; One Night with the Fugitives; Another Night with the Sufferers; Our Indebtedness to White Women; Persecution of Coloured Women in the Orange Free State; At Thaba Ncho: A Secretarial Fiasco; IX The Fateful 13; Dr. Abdurahman, President of the A.P.O. / Dr. A. Abdurahman, M.P.C. 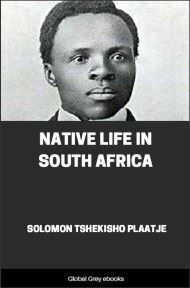 ; The Natives' Land Act in Cape Colony; The Passing of Cape Ideals; Mr. Tengo-Jabavu, the Pioneer Native Pressman; The Native Congress and the Union Government; The Kimberley Congress / The Kimberley Conference; The Appeal for Imperial Protection; The London Press and the Natives' Land Act; The P.S.A. 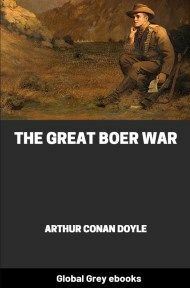 and Brotherhoods; Armed Natives in the South African War; The South African Races and the European War; Coloured People's Help Rejected / The Offer of Assistance by the South African Coloured Races Rejected; The South African Boers and the European War; The Boer Rebellion; and Piet Grobler. The 4,500,000 black South Africans are domiciled as follows: One and three-quarter millions in Locations and Reserves, over half a million within municipalities or in urban areas, and nearly a million as squatters on farms owned by Europeans. The remainder are employed either on the public roads or railway lines, or as servants by European farmers, qualifying, that is, by hard work and saving to start farming on their own account. A squatter in South Africa is a native who owns some livestock and, having no land of his own, hires a farm or grazing and ploughing rights from a landowner, to raise grain for his own use and feed his stock. Hence, these squatters are hit very hard by an Act which passed both Houses of Parliament during the session of 1913, received the signature of the Governor-General on June 16, was gazetted on June 19, and forthwith came into operation. It may be here mentioned that on that day Lord Gladstone signed no fewer than sixteen new Acts of Parliament — some of them being rather voluminous — while three days earlier, His Excellency signed another batch of eight, of which the bulk was beyond the capability of any mortal to read and digest in four days. But the great revolutionary change thus wrought by a single stroke of the pen, in the condition of the Native, was not realized by him until about the end of June. As a rule many farm tenancies expire at the end of the half-year, so that in June, 1913, not knowing that it was impracticable to make fresh contracts, some Natives unwittingly went to search for new places of abode, which some farmers, ignorant of the law, quite as unwittingly accorded them. 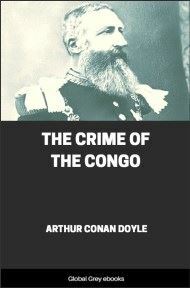 It was only when they went to register the new tenancies that the law officers of the Crown laid bare the cruel fact that to provide a landless Native with accommodation was forbidden under a penalty of 100 Pounds, or six months' imprisonment. Then only was the situation realized. 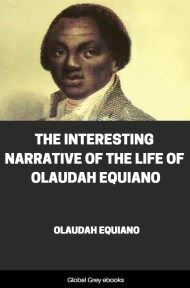 Other Natives who had taken up fresh places on European farms under verbal contracts, which needed no registration, actually founded new homes in spite of the law, neither the white farmer nor the native tenant being aware of the serious penalties they were exposed to by their verbal contracts. In justice to the Government, it must be stated that no police officers scoured the country in search of lawbreakers, to prosecute them under this law. Had this been done, many 100 Pound cheques would have passed into the Government coffers during that black July, the first month after Lord Gladstone affixed his signature to the Natives' Land Act, No. 27 of 1913. The complication of this cruel law is made manifest by the fact that it was found necessary for a high officer of the Government to tour the Provinces soon after the Act came into force, with the object of "teaching" Magistrates how to administer it. A Congress of Magistrates — a most unusual thing — was also called in Pretoria to find a way for carrying out the King's writ in the face of the difficulties arising from this tangle of the Act. We may add that nearly all white lawyers in South Africa, to whom we spoke about this measure, had either not seen the Act at all, or had not read it carefully, so that in both cases they could not tell exactly for whose benefit it had been passed. The study of this law required a much longer time than the lawyers, unless specially briefed, could devote to it, so that they hardly knew what all the trouble was about. It was the Native in the four Provinces who knew all about it, for he had not read it in books but had himself been through its mill, which like an automatic machine ground him relentlessly since the end of the month of June. Not the least but one of the cruellest and most ironical phases — and nearly every clause of this Act teems with irony — is the Schedule or appendix giving the so-called Scheduled Native Areas; and what are these "Scheduled Native Areas"? They are the Native Locations which were reserved for the exclusive use of certain native clans. They are inalienable and cannot be bought or sold, yet the Act says that in these "Scheduled Native Areas" Natives only may buy land. The areas being inalienable, not even members of the clans, for whose benefit the locations are held in trust, can buy land therein. The areas could only be sold if the whole clan rebelled; in that case the location would be confiscated. But as long as the clans of the location remain loyal to the Government, nobody can buy any land within these areas. Under the respective charters of these areas, not even a member of the clan can get a separate title as owner in an area — let alone a native outsider who had grown up among white people and done all his farming on white man's land. If we exclude the arid tracts of Bechuanaland, these Locations appear to have been granted on such a small scale that each of them got so overcrowded that much of the population had to go out and settle on the farms of white farmers through lack of space in the Locations. Yet a majority of the legislators, although well aware of all these limitations, and without remedying any of them, legislate, shall we say, "with its tongue in its cheek" that only Natives may buy land in Native Locations.